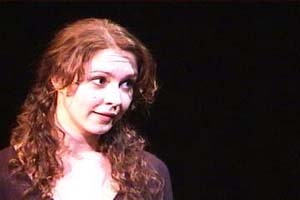 Pen Pals premiered at Theater for the New City, Crystal Field, executive producer, in 1994, and was updated for this revival. "When democracy dies, there are no fences left to sit on"
Pen Pals is about three Americans and a Canadian during the politically turbulent 21st century, as the U.S. government turns from democracy to fundamentalist religious dictatorship. Adult actors play the friends as they go from childhood through young middle age-with conflicts, humor and love. 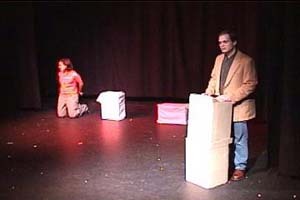 The premiere production was produced by Theater for the New City, Crystal Field, Executive Director in 1994. The future that was portrayed in Pen Pals in 1994 has become all too much of a reality in the United States of America in 2005. Minorities, whether ethnic, racial, religious or sexual, are under relentless attack by our home-grown religious fundamentalists who have found a sympathetic ear in the Federal government. I hope that this revival of Pen Pals reflected the need for us to be constantly vigilant and to struggle for justice and freedom with whatever means we have. Amnesty International, recipient of the 1977 Nobel Peace Prize, is a worldwide movement of people acting to protect fundamental human rights, including lesbian and gay rights. Volunteers correspond with governments on behalf of political prisoners and the tortured. Through my sister Phyllis, a long-time AI volunteer who is in her third elected term on the board of directors, I have met former prisoners, other volunteers and AI staff. Pen Pals is a tribute to the people I've met and the work that they do.